Wedding Cake Stand The beautiful display for the perfect day. Buy Cake Boxes Ship directly for savings! We are cake boxes manufacturer and be able to ship fast. 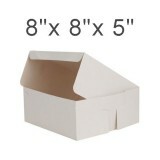 Our Premium Cake Boxes have the height of 5-6 inches so you can be as creative without restricted by the box. CupcakeBoxesWholesale.au was set-up to supply specialty lines to the bakery industry from corporate chains to small bakeries. 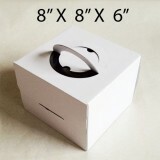 Welcome to CakeBoxesWholesale.com.au where you will find the largest collection of Cake Boxes, cupcake boxes, cupcake stand, cupcake stands, cupcake displays, cupcake tower, cupcake towers, cupcake tree and cupcake trees online in Australia. 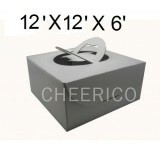 Cheerico cake boxes come with handle or without handle in order to transport your cake creations to your clients safely.The height of the boxes is 5" minimum so you can be as creative as you won't be restricted by the height of the box. 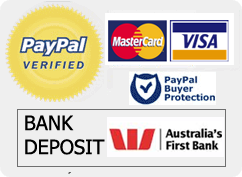 We are an online store, warehouse is located in Sydney and delivery usually made within 2-5 working days. 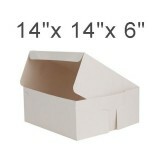 We are also the largest supplier of cupcake stands. All our cup cake stands come bubble wrapped and well packaged to ensure it arrives in perfect condition and all our products come with a 7 day Money Back Guarantee for your peace of mind. We also offer our wholesale cupcake stands so feel free to drop us an email if you run a bakery or home cupcake business as we would love to hear from you. Happy cupcaking!